Event planners and department heads call Cambridge Transcriptions ™ when they want to record an important event for immediate listening, observing, or archiving. 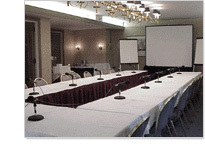 We record all meetings digitally, capturing professional-quality sound and picture in an easy-to-use CD or DVD format. For large meetings, we employ specialized mixers to reduce background noise and increase crispness. Our years of experience ensure a worry-free process and results that are matched to your specific needs. With our highly-trained professional staff and top-of-the-line equipment, you can rest assured that we’ll be ready when you call us. Please call our office at (617) 547-5690 for more information on recording.